July 4th is Independence Day in the United States, and as with similar holidays in countless countries around the world, it is the perfect occasion to reflect on what it means to be independent. One key aspect of independence today is intimately tied into energy. How many countries around the world have found themselves economically enslaved to the energy economics inherited from past generations? The US is the largest consumer of oil on the planet by a long margin, consuming more oil than any other country, regardless of population. While the US is also the largest “producer” of oil, it does not produce enough oil to satiate its seemingly endless thirst for it. The capitalist country is embattled with modern-day oil barons fighting for lower fuel efficiency standards while climate change believers fight to raise fuel efficiency standards, enact a universal carbon tax, and work to create incentives for battery electric vehicles. The gridlock of the past took a turn for the worse with the Trump administration, which continues to plod forward in the mindless push to unshackle the American capitalist machine from the trio of perceived anchors that are the Clean Air Act (of 1970), the Clean Water Act (of 1972), and the much more recently added Clean Power Plan (of 2014). In the face of this political uncertainty, a few beacons of hope have emerged, shining out of the dust of the recently fallen environmental protections. They give us hope for a future where our children and grandchildren can breath clean air, can drink water that is free of heavy metals and toxins. A future where the vehicles that move us from place to place move silently around, powered by clean technologies and whirring electric motors. The Chevrolet Bolt, which launched in December 2016, and the Tesla Model 3, which will be delivered to its first customers later this month, are the first vehicles of a new generation of long-range, affordable electric cars that carry the keys to unlocking the most American of all values — true energy independence. For the first time in many, many decades, America has within its grasp the ability to harvest electricity from the wind and sun that will not run dry — using power systems that emit no pollution into the air and require minimal emissions to manufacture. The shift from fossil fuel–fired vehicles to electric vehicles presents a rare opportunity for any country in the world to catalyze a paradigm shift in energy generation. 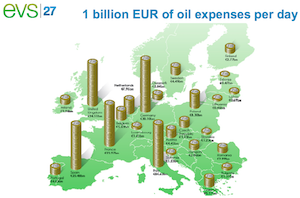 The opportunity to convert to locally produced energy brings along with it the possibility to keep millions and billions of dollars of energy spending inside the country. For the United States, this means weaning itself off of the ill-adopted relationships with countries around the world that have failed to move forward adopting minimum standards for human rights. For many nations in Eastern Europe, the opportunity to throw off the shackles from oppressive regimes that have for too long throttled the supply of energy as a means of controlling the economies of those less endowed with natural resources has the potential to reinvigorate the people and catalyze a positive change in these countries. Clearly, these changes are not being led solely by two vehicles, but these vehicles embody the broader movement that is only now reaching its climactic moment in history. 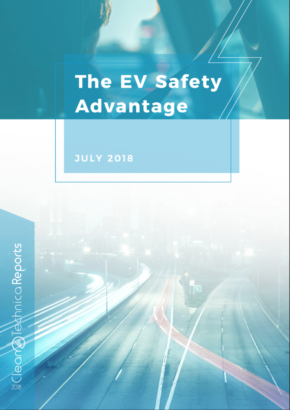 Affordable electric vehicles let the average person purchase a vehicle that has the range to make 99% or more of all trips possible with an electric vehicle. When combined with the fact that electric vehicles are also cheaper to drive on a cost of fuel per mile basis, it starts to get interesting — my wife and I have saved nearly $2,000 in 2½ years of owning our first electric vehicles versus the cost of gasoline. Electric vehicles also require significantly less maintenance, with thousands of fewer moving parts than their fossil fuel–fired counterparts, resulting in even more savings. Electric vehicles are much quieter to drive, and without the controlled explosions of a fossil fuel engine under the hood, don’t vibrate their passengers to death. 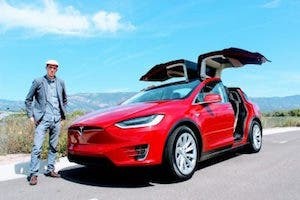 Removing that combustion engine from the vehicle and replacing it with an electric motor also allows for completely new vehicle designs that have resulted in the Tesla Model S being rated the safest vehicle to ever be tested by the NHTSA, with the Tesla Model X coming in at number two — a ranking unheard of for a sport utility vehicle. 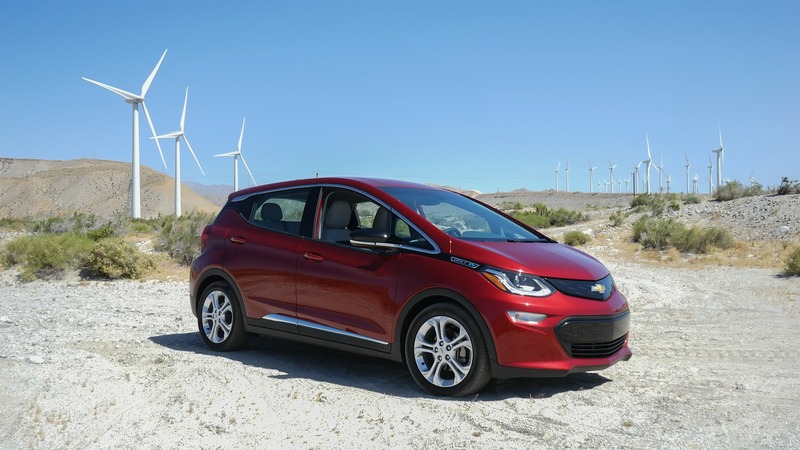 The Chevy Bolt received top honors for its safety results as well, recently being selected as an IIHS Top Safety Pick. Roll that all together with extreme performance and supercar 0 to 60 times and electric cars start to look appealing to people from all walks of life. 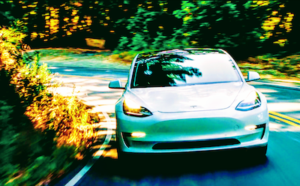 Until these two cars rolled onto the scene, these benefits were only accessible to those who were willing to compromise on range with a ~100 mile electric vehicle or those with the finances to throw down $60,000 or more for a Tesla. Driving an electric vehicle is great, but here’s where it gets interesting: Electric vehicles unlock much more than that. A core American value — and if we’re honest, a core human value — is the desire to not be dependent. Electric vehicles tap directly into that with the ability for homeowners, property owners, and many people around the world to install solar or wind on their residence to generate all the power their homes, businesses, and vehicles will use. The solar installation on my rooftop generated enough power last year to completely power our home and one of our electric vehicles. Another couple of panels and we will be generating the vast majority of the power we use in our lives on our roof. That is straight out of a science fiction novel but it is a true possibility for billions of people around the world today … and it gets even better than that. 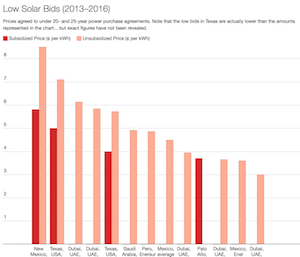 With the massive improvements in production and scale that have been made over just the last 10 years, solar and wind are now extremely cost competitive — even beating out the competition in many areas of the world … today … right now. That’s right, you can create this utopian lifestyle today … and save money while you’re doing it. That is the beauty of the paradigm shift that is occurring right now. We are living through an historic transition that our grandchildren will read about as the turning point in energy economics, globally. Entrenched trillion-dollar industries will crumble in decades along with the household-name companies that operate within them. Amidst the rubble, new companies, new individuals, and new nations are rising to the forefront of the discussion as leaders in never-before-seen industries that bring with them new possibilities for economic freedom and energy independence. Transitions of this magnitude are apparent from the early birthing pains that manifest themselves in the form of federal policy debates, vicious catfights over government incentives, kickbacks, and tax breaks. The transitions are rarely fair, but with so much at stake, bloodshed on both sides is to be expected. Rolling back to where we started, what seems like a domino effect of toppling regulations led by industry insiders that have been put in charge of the agencies that formerly regulated their industries have left many dumbfounded. The foundations of American environmental protections have been stripped bare in a matter of weeks. But all is not lost. The brazen disregard for the charter on which the Environmental Protection Agency was founded has woken millions from the enchanted slumber, just as Rip van Winkle awoke after many years of sleep into a frenzy. The people of this great nation and many more around the world demand that the governments they voted into place protect their most fundamental rights to clean air and clean water. 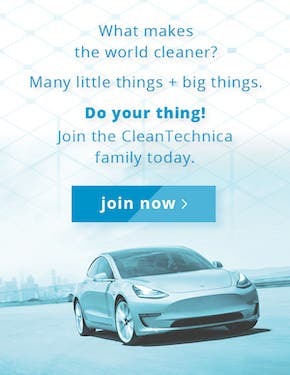 The catalyst could not have come at a better time, as affordable electric vehicles and cost-saving solar and wind generation allow individuals to cut the cord from the very capitalists who now move to enslave the population. It is time to rise up and regain the independence that our ancestors fought for in years past, but this time we fight against those in charge in our own nation. The time is now to go test drive an electric vehicle. If that’s not enough time to get a feel for life with an electric vehicle, rent or borrow one. Services like Turo and Maven are lowering the bar to get into an electric vehicle just as the Chevy Bolt has and the Tesla Model 3 soon will for hundreds of thousands more people around the world. If renting isn’t an option, it may be time to step up the game and steal one … or, rather, get a steal of a deal on one at a local dealership. While you’re at it, don’t forget that to really, truly cut the cord takes a little more work to ensure that the power you’re pumping into your vehicle every night comes from renewable sources as well, preferably from a solar installation or wind turbine on your property. That, my friends, is what it truly means to be independent. Celebrate yours by taking action today. The future is electric. The future is now!